Lack of visibility is a major cause of accidents on the road, and the problem is even worse during bad weather. Rain, fog, snow and hail can all reflect the light from your headlights, drastically reducing your ability to see the road. Fog lights allow for clear visibility even in harsh weather conditions. Not every vehicle includes fog lights, but adding them to your existing vehicle is a fairly simple process. Fog lights dramatically increase your ability to drive safely and are a must if you frequently drive in wet, rainy and other adverse conditions. Interesting in fog lights but not sure where to start? We’ve listed five fog light kits you’ll want to consider as well as a complete guide on how to select and install them. What are the Different Types of Fog Lights? How are Fog Lights Controlled? Where are Fog Lights Mounted? What Color of Fog Lights are Best? 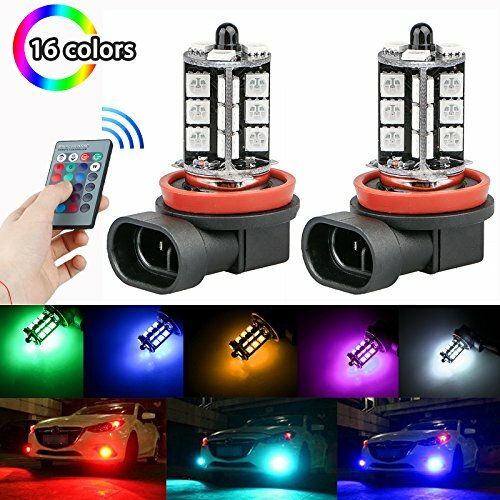 How are Fog Lights Installed? 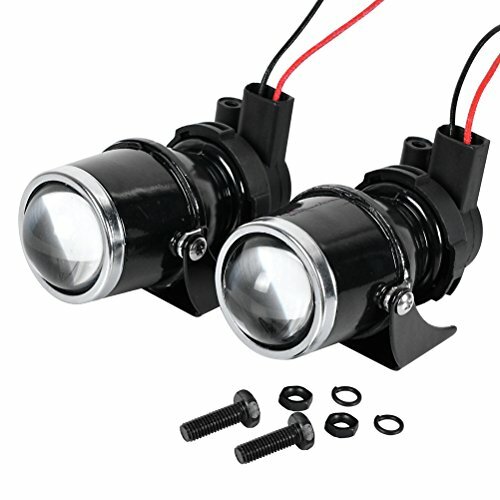 A set of powerful H3 Halogen fog lights made with real glass and durable metal housing. The Astra Depot H3 Project Glass Fog Lights uses top-quality components to create a powerful fog light build to withstand harsh weather conditions. The H3 Halogen light bulb shines through lenses made of real glass, which is less likely to become cloudy over time. Kit includes two front projector fog lights, brackets and a set of mounting thread. The color temperature of the lights is between 3000K and 4000K. Also compatible with HID conversion kit. Powerful fog lights which are made to last a long time while using only a small amount of power. These high-powered 80W fog lights have a bright, white light which cuts through dense fog and other weather. They have a 360-degree full-angle LED light output of 6000K. Illuminates up to 300% more than standard stock headlights. At the same time, these LED lights are also very energy efficient. They only draw 9W of power, which is substantially less than the 60W used by standard lamps. A stylish, sleek design looks good on practically any type of vehicle. 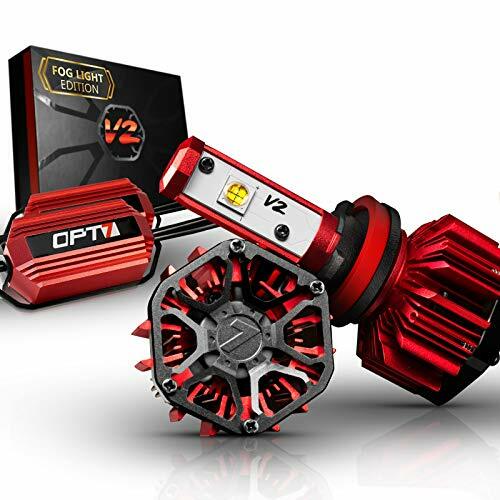 Billed as the “brightest LED fog lights available,” the OPT7 Fluxbeam has 3,5000 lumens per bulb with improved heat control. With 6K of color, the OPT7 Fluxbeam is five times brighter than Halogen and 12% brighter than HID bulbs. The housing is rainproof and designed to withstand harsh and wet weather. Improved Modular Heat Protection technology includes a TurboCool fan and a RedLine driver to help prevent burnout and overheating. A relay bundle is also available to extend the bulb life on all vehicles made after 2007. Estimated bulb life is over 50,000 hours, so you don’t have to worry about frequent bulb changes. All bulbs include a free two-year warranty as well as lifetime technical support. Bright and clear, these fog lights from ZDatt are easy to install and include three different color filters. This headlight kit is an easy way to upgrade stock halogen or HID headlights. They’re up to 200% brighter than most standard halogen lights. LED optics technology provides wide illumination across the entire road. Each bulb uses 360-degree LED lighting. A 12000 RPM Turbo Cooling Fan allows for fast heat dissipation, while an aluminum casing helps protect against environmental hazards like road debris and extreme temps. Each 6000 Lm bulb has an estimated life of 50,000 hours. Three pairs of colored filters are available: Cool White at 6,000K, Amber at 3,000K and Light Blue at 8,000K. All purchases include a two-year manufacturer’s warranty. Merge safety and style with these multi-colored fog lights which can be controlled remotely. Who says fog lights have to be white and boring? These multi-colored lights from LinkStyle let you change the bulb’s color at will thanks to a 24-key remote control. Includes a Flash Mode, Strobe Mode, Fade Mode and Smooth Mode. Each bulb designed to last over 50,000 hours. Although marketed as fog lights, they can also be used as for backup, parking and daytime running lights. 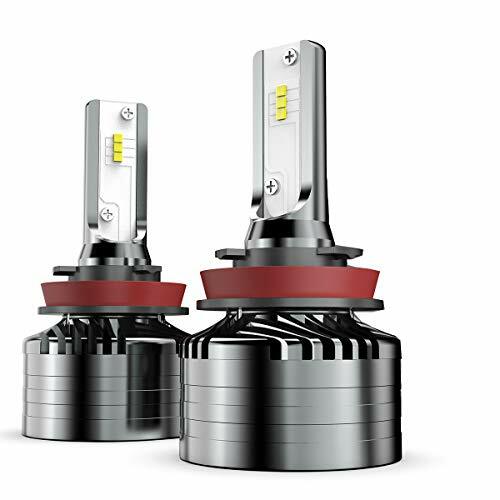 Note that while they’re brighter than stock Halogens, they might be bright enough for heavy-duty fog and rain. Bright lights with a wide beam pattern which won’t blind other drivers on the road. The Marsauto LED Fog provides super illumination which is brighter and lasts longer than traditional Halogen bulbs. Works well as both a fog light or a standard headlight. Although bright, these bulbs don’t provide a distracting glare to other drivers. Overall increases safety for everyone on the road. All-in-one compact design allows for quick “plug and play” installation. Bulbs have no CANBUS. All Marsauto fog light kits include a 12-month warranty. Fog lights are a type of auxiliary light, which means they work alongside the existing headlights on your vehicle. Fog lights are one of two common types of auxiliary lights. The other type of auxiliary lights are driving lights, which are hi-beams with extended visibility. Fog lights help improve visibility when driving in bad weather. As you’ve almost certainly noticed, car headlights often don’t work very well in the rain, fog and snow. Light can reflect off the weather elements and make it hard for drivers to see the road. Fog lights emit a low, wide pattern of light. This will shine lower to the ground beneath any haze, which significantly reduces the amount of glare. Instead of using your hi-beams, you use fog lights along with your low beams. While all types will cut through fog much better than traditional headlines, generally HID lights are considered the longest lasting and most powerful. 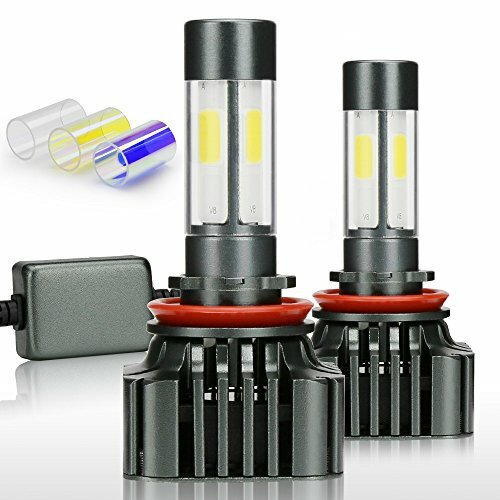 If your vehicle has traditional halogen bulbs, you’ll need an HID conversion kit in order to put in HID lights. Unless they’re installed at the factory, fog lights typically aren’t controlled by the same switch which controls your headlights. Instead, added auxiliary lights are typically controlled by an in-dash switch. A extra cable will be run through the firewall to the dashboard. Generally, fog lights are built to withstand harsh weather conditions. Auxiliary lights, such as fog lights, often have regular and off-road versions. Off-road auxiliary lights will have tighter seals and tougher coverings. Fog lights are typically designed to be waterproof as well as resistant to extreme temperatures. Even if a fog light isn’t labeled as off-road, it still might be perfectly suitable for all-weather use. Check for tight seals around the lens and insulated wires. Additionally, a high-quality cooling fan is necessary to allow for heat dissipation, which keeps the bulb from overheating. Fog lights should be mounted low on your bumper, anywhere between 10 and 14 inches from the ground. This position allows the lights to shine underneath fog, rain and other weather conditions. Don’t be surprised if your car has openings designed specifically for fog lights to be added. When researching fog lights, you might have heard that yellow fog lights are more effective than any other color. This is actually an urban myth based on a misunderstanding of light waves. As long as the fog lights are properly mounted and aimed, all colors are equally effective. 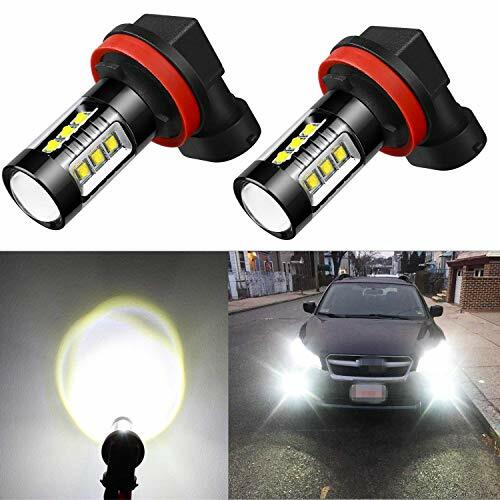 Feel free to choose a fog light color which compliments your vehicle’s style. Although your local auto body shop can install fog lights for you, installing them yourself is usually pretty easy – and can save you a few bucks, too. If you’re at least moderately comfortable working on your car, you should have no problems installing your fog lights. Generally speaking, installing fog lights is a six-step process. You’ll probably need some common tools including wrenches, pliers, a screwdriver and a drill. Before installing fog lights, make sure the ignition is off and the black negative battery cable is disconnected. This prevents any accidental electrocution from occurring while installing the new lights. Most cars will have an empty space in the bumper specifically for fog lights. If your vehicle doesn’t, that’s okay. You can create a space with a drill and rotary cutting tool. Before drilling, make sure the holes will fit the fog lights tightly. Your fog lights will include a mounting kit, which you’ll use to place the lamps in the bumper. Attaching the housing usually involves tightening a few mounting screws. Model-specific instructions will be included. After the fog lights are in place you’ll need to connect the wiring. The included instructions should contain a wiring scheme. You’ll connect a wire from a relay under the hood to the back of the fog lamps. After connecting the relay to the lamp’s wiring, your next step is to mount the switch inside the car on the instrument panel. Typically, the switch will be connected with small screws. Your new fog lights should be ready to use! Test them out before hitting the road. For additional safety, wrap all wiring in electrical tape during installation. Also, always wear gloves during installation. Oil from your fingers can actually damage the fog light bulb if accidentally touched. Replacing a light bulb requires a few steps, so you want to protect the bulb from damage whenever possible. Traditional headlights usually don’t provide enough visibility to allow for safe driving in rain, snow and fog. When driving in hazy weather conditions, you’ll want to use a set of fog lights. If your vehicle doesn’t already have fog lights, installing a new set is usually fairly simple and inexpensive. Driving in extreme weather conditions is dangerous enough. Don’t let poor visibility increase your risk of an accident. Only fog lights provide the specific illumination you need when driving in adverse conditions, but a quality set of fog lights can help keep you safe behind the wheel.